The EYCH2018 budget | . During 2018, thousands of activities and celebrations will take place all across Europe. 10 major European initiatives will make sure the Year has an impact beyond 2018. These initiatives will be implemented by the European Commission in collaboration with key partners. The 10 initiatives will maximise support for four objectives: engagement, sustainability, protection and innovation. All the projects will of course be looking for funding, subsidies and sponsoring - at a moment when Money has become a rare good. 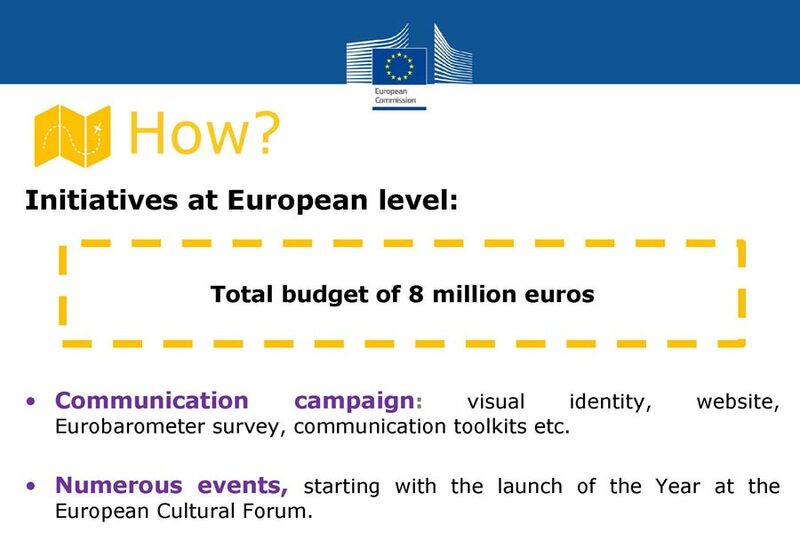 The EU Parliament voted indeed a special budget for the European Cultural Heritage Year, but if one compares it with the aims forwarded and the needs resulting from these, the 8 millions of euros will mainly have to cover the central initiatives, communications, large EU conferences and meetings as the launch of EYCH2018 at the European Cultural Forum 2018 - and somehow maybe the 10 major European initiatives. But one expect also that within the various European co-funding programmes special call will be launched to support cultural heritage projects. 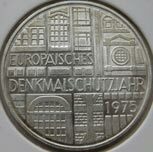 One however has to been aware that these EU grants are generally only applicable for international cooperation projects, involving partners from different countries, and also that they do not cover all of the costs and expenses (which means that the partner organisations do have to cover part of it). In some countries and regions public government or regional authorities are to intervene in the cost of the own contribution which associations must cope with, but this is certainly not a general rule - so check if this is possible before involving your association. In any case associations should continuously check and follow up the calls and tenders which are published for the main European grant programmes. Also in the past they often contained interesting offers for the industrial and other cultural heritage, but one has to be aware of this in due time. funding for Interreg Europe projects is allocated via periods of time during the year when applications can be submitted. Each call has an opening and closing date and outside of these dates it is not possible to apply for funding with a project proposal. This depends of course on national politics and priorities. It won't be bad to contact as soon as possible the national coordinators in your country to find out what they can provide, and how they will be able to support your initiatives. In each of the countries, through the national coordinators initiatives will receive a label, but it is not yet know on what criteria these will be assigned, and if there will be funding available for them. 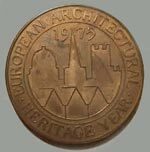 When in 1975 the European Architectural Heritage Year took place, the success of it mainly depended on the thousands of local committees and campaigning groups, often supported by local authorities made aware of the heritage by these groups.